Wisdom of the Herd: iPad 2 or iPhone 5 for College? 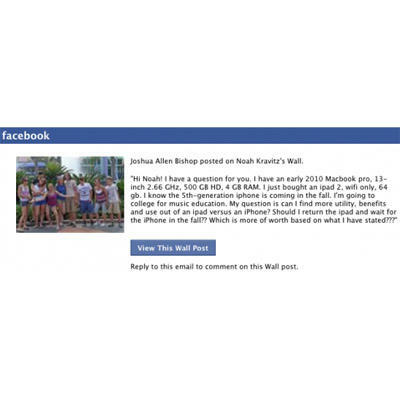 A few days ago a reader named Joshua asked me a back-to-school tech question via Facebook. The question – should I get this or that to take with me to college? – had an interesting twist to it, so I decided to pass it along to the rest of the Buffalos to get their takes on it, too. Here’s what we all had to say in the way of advice for young Joshua as he heads off to study music education this Fall. Check out his question and our answers, and chime in with your advice in the comments below, won’t you? The question boils down to: I’ve already got a 13-inch MacBook Pro, and I just bought an iPad 2. Should I keep the iPad or return it and get an iPhone 5 when it launches? Which is the better pair for starting my college life studying music education? Great question, and one that comes across my desk quite a bit. You already have a very well spec’d laptop, one that is extremely capable of running whatever you might throw at it. The iPad, while certainty a novel and enjoyable piece of hardware, is by no means a laptop replacement. Its paradigm for the tablet industry as a whole: Great for consuming media, not so great for creating it. You are going to need to carry a cell phone (so your parents can reach you! ), so you might as well kill two birds with one iStone, and wait for the next iPhone. You’ll get similar utility as an iPad, albeit on a smaller screen, but with added phone benefits. That’s my advice at least. Good luck! Very interesting question. Part of the answer depends on your personal usage style, things like, “Do you like typing on iPad 2’s touchscreen? Do you mind carrying the MB Pro around in your bag all day, or would you prefer to leave it in your dorm room and take the iPad 2 with you to class instead?” and so on. Part of the answer is unique to the fact that you’re going to be studying music education. Here’s what I mean: Without the music ed part, my answer would be: “Return the iPad and pick up the new iPhone instead. You’ve already got a laptop that can run the latest Mac software, so I’d say you’ll get more versatility pairing it with a pocket-sized device (phone) than a similar but less capable backpack-sized device (tablet).” But there’s a lot of cool music software out there for iPad, and depending the specifics of your school’s program, it might turn out to be entirely awesome to have a tablet that can work as a textbook, sheet music book, composition/scoring tool, and audio/MIDI production device as well. Yes, your MB Pro can do all of that stuff already, but some of it might be easier, more fun, and more portable given iPad 2’s touchscreen, battery life, and thin/light form factor. I’d say check in with the college and find out what software – or at least what sorts of coursework – you’ll be doing in your first year. If a lot of that stuff can be done on an iPad 2, it might wind up being a better investment for you. See if you can find someone at the school who’s got an educated opinion on iPads, specifically. Seeing as I was the last one to write an answer, I got the benefit of seeing the rest of them, and pretty much all of my arguments for keeping the iPad 2 were covered by Noah and Emily. The opportunity to not deal with physical text books, as well as possibly saving you enough money to afford an iPhone or another smartphone, alone makes it a clear winner. And with being in the music field, there is such a wide range of musical apps that could assist you that would be better served using a full-sized screen. Your laptop is going to serve you well for writing papers and such, but I think you’ll find a tablet is perfect in a lot of scenarios you’ll find yourself in. I can’t see your MBP sitting to well on a sheet music stand, and the iPhone would just be too hard to read. I think in a college setting you’re going to find that you get a ton more utility out of an iPad than you do an iPhone for one reason- textbooks. Amazon recently announced its offering textbook rentals, so you can rent digital copies of books rather than buy them. I don’t know if you’ve gone book shopping yet, but books are expensive -and super heavy. You’re going to have to take a considerable amount of general education classes in school along with music classes. Education books = big. The very first giant textbook you can replace with a rented digital copy on your iPad will make the tablet 100% worth it. You’ll save some cash (possibly enough to even afford an iPhone 5 if you replace a semester’s worth of books), and save yourself from having to tote the books across campus – which no matter how small the book will get old fast (as will carrying around your MacBook everywhere). You can download the Kindle app and read books on an iPhone, but the size of the screen puts it at a significant disadvantage over the iPad. The iPad screen is big enough you can read it just like a traditional textbook, and the Kindle app lets you take notes in the margins (that are available even after the rental period expires), something your classmates won’t be doing with their “real” books they plan on trying to sell back after the semester ends, and something you won’t want to do with the same app on an iPhone. Keep the iPad, save some cash, and get an iPhone 5 later on. I assume you already have some sort of phone — whether iPhone 4 or something else — so that’s covered, right? If not, then you can stop reading here. Get the smartphone. Any smartphone. But if your phone needs are covered, then let’s look at the options. The stand-out iPhone 5 rumors seem to be thinner form factor (say, didn’t the iPad 2 get slimmer? ), A5 (like the latest iPad) and a larger screen (making it approach a more tablet-ish experience, no? ), among others. So if the gossip pans out, and these really are the biggest revisions, then we could almost say that this version is about making the handset a little more like the iPad 2 you already own. The major difference? The tablet can do nearly everything the iPhone can, plus run (some sick, music-oriented) iPad-only apps. You should return the iPad because I think you’ll find that it won’t be needed between the MacBook Pro and an iPhone, whether it’s the new iPhone or the 4. You have one of the most portable Macs out there–the 13-inch, and in my opinion, there really is no need for a tablet when you have something that’s significantly more powerful and capable. 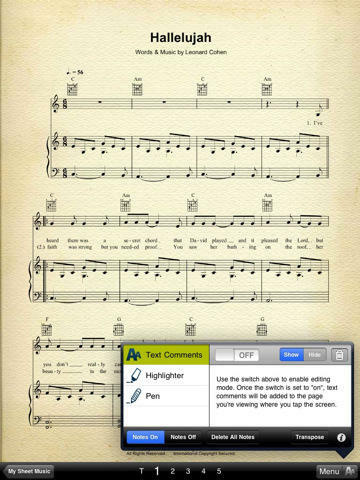 Also, there are tons of music applications you can download for your iPhone. I just think the iPad is unnecessary for someone who already has a MacBook Pro and is getting an iPhone soon. In fact, I don’t really see the need for tablets at all, other than replacing airline manuals and being implemented in other realms of industry. As a consumer product, they are useless, especially the ones with a data contract. By the end of your two-year contract, you will have spent more on your Internet commodity than you would have on a brand new MacBook Pro. In addition, that tablet will have given you a fraction of the performance that a MacBook or equivalent laptop (if you can find one) would have offered. Would you like to see the TechnoBuffalo team answer a question of yours? Leave them on the TechnoBuffalo Facebook page!